Jonathan Burrows: The Stop Quartet | people are dancing here. Jonathan Burrows. The British choreographer who manages to be both wildly inspiring and absolutely disheartening, for how could I (or even you, dear reader) Ever Possibly Ever make such astounding movement happen so beautifully and so cleverly on stage? The reason I love and fear the mind of Jonathan Burrows, is it seems to have intention and clarity; two states of being that I yearn for and almost certainly lack. In short, I have a crush on the way he choreographs (which is very very well, in my opinion). The film was made by Adam Roberts, with music by Matteo Fargion. 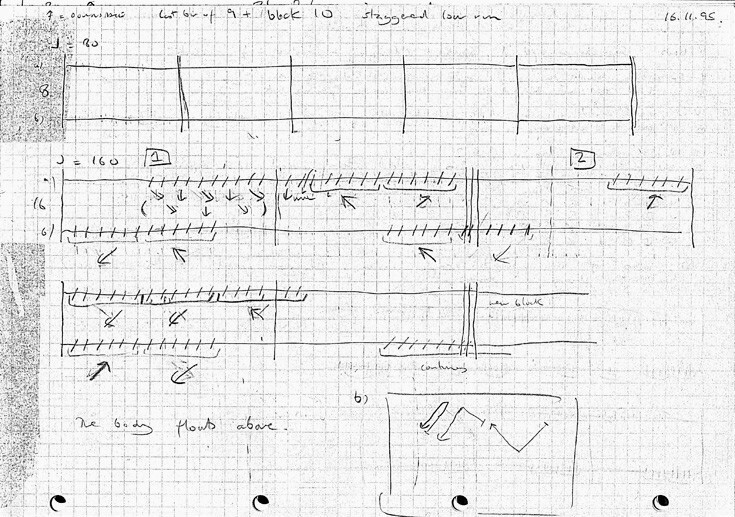 Burrows writes about The Stop Quartet on his website over here and you can read more about the structure and the process, which was based on a similar idea to his shorter film Hands (which I’ve already written about here.) The thing about this piece, is even though the movement has been quite deliberately choreographed and structured, it comes across as so exquisitely organic and natural. The stops and pauses are in no way dramatic or loaded with angst but still manage to be meaningful or at least thoughtfully acknowledged. 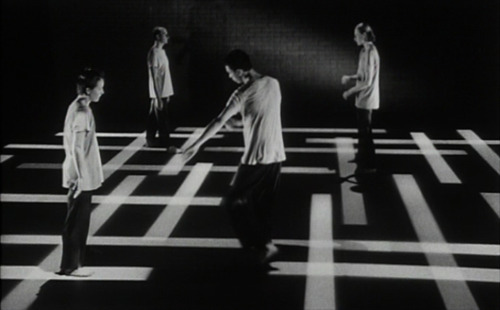 The loose-ness of the movement vocabulary combined with the stern lines of the floor pattern and the subtle, understated choreographic structure gives such a thrilling combination of such tight choreography on such loose dancers. This balance is admirable and more difficult to achieve than one would think. There is another aspect of this piece that I love regarding the way in which it was filmed and edited. My Token Film Friend, who is very smart and knowledgable about films, briefly gave me some editing lessons once upon a time. Amongst the many things he pointed out, one of them was about jump cuts (I think this is the right term? I was not the best of students.) When you cut from one scene to another, the eye is somehow not surprised to be taken quickly from one angle to a massively different angle or perspective. A drastic leap from one scene to another does not upset us. However, when you jump to another shot and the difference is very small or slight, or you jump to an almost similar angle, it becomes quite unsettling to the eye and can even be quite disturbing or menacing.